Although their campaign has concluded, if you would still like to make a donation to support Pitt Make a Difference Day, you may always do so here. Welcome to the 10th Annual PMADD! 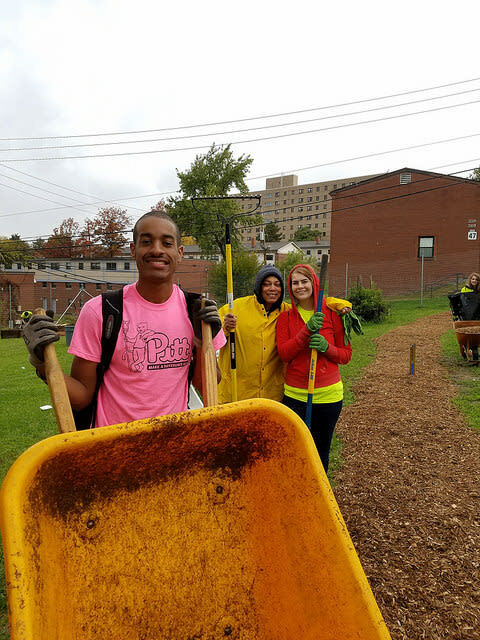 The 10th Annual Pitt Make a Difference Day is seeking to engage over 5,000 Pitt students, staff, faculty, and alumni in a day of service. Starting in 2007, the Pittsburgh campus gathered students from Greek organizations to connect to the community. Now, 10 years later, alumni from across the world, students on all 5 university campuses, and faculty and staff across the state will serve where they call home on October 21. 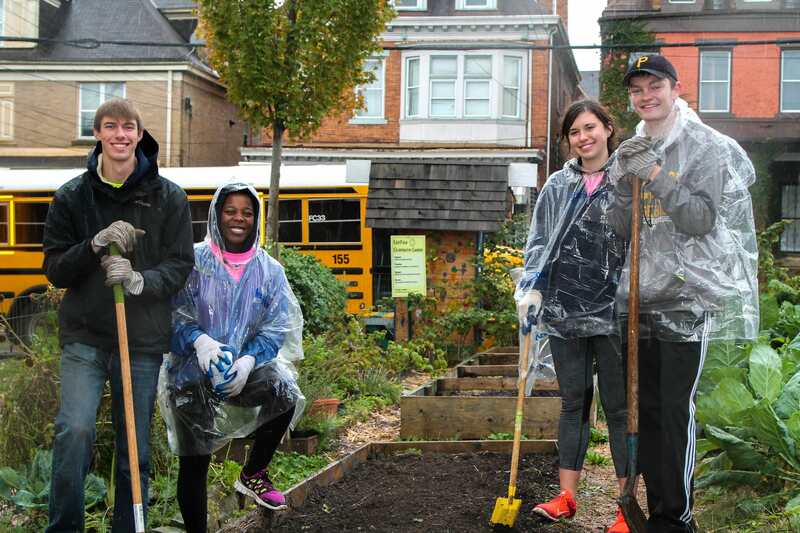 EngagePitt funds will assist each campus in implementing their day of service, to make a broader impact with sustainable projects based on community needs. Each donation will go directly to ensuring that PMADD is a successful day for the communities we serve and the students who make PMADD a crucial part of their Pitt story. Panther alumni in the past 10 years are encouraged to re-live their PMADD experience by serving in the 10th Annual day of service with their local alumni chapter or by creating a project on their own. For those who never had the opportunity to experience PMADD – this is your year! As a Panther for life, we want to hold the values of teaching, research and service throughout our careers and encourage all alumni to get out there and serve on October 21, 2017, the day where Pitt will truly MAKE A DIFFERENCE! Donate a dollar for every year PMADD has served the greater Pittsburgh Region. Thank you! Donate a dollar for the number of students who can be seated on one school bus to serve. Thank you! Five Pitt campus communities will be served, celebrate with $55! Thank you! You are in the drivers seat, as this will fund one school bus for the day to transport students to and from the communities we serve. Thank you! A gift of $600 will feed approximately 300 hungry volunteers. Thank you! 10 Years, 10 Co-Chairs, and YOU! Join us as an honorary co-chair of PMADD 2017 by giving $1000. Thank you!